Untamed beasts have always captured people’s attention with their impetuous nature. But what would happen if a gifted artist rests his eye on a mighty wild animal for quite a while? Let’s see what great ideas it can spark in creative minds. 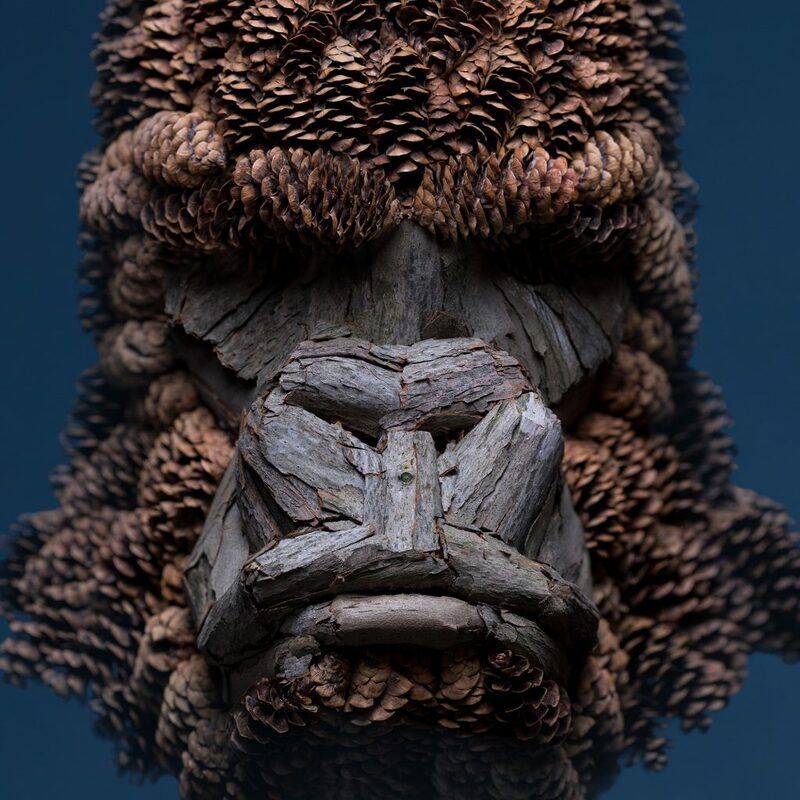 A multidisciplinary artist and designer Raku Inoue expressed his vision of wildlife through the use of specific materials — flowers, grass, spruce branches and pine cones. 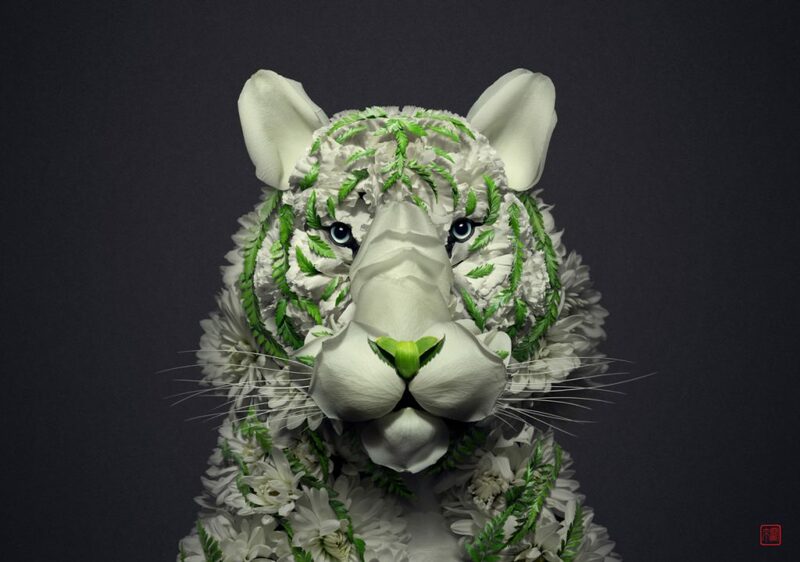 His snowy white tiger called ‘Kindness’ is decorated with materials of two predominant colours — fresh cut grass green and delicate white flowers which give an impression of blooming right on the tiger’s face as we scrutinize it. Such a sublime floral arrangement imply the beast’s benevolent nature. His next embodiment of a tiger does not seem to epitomize kindness. 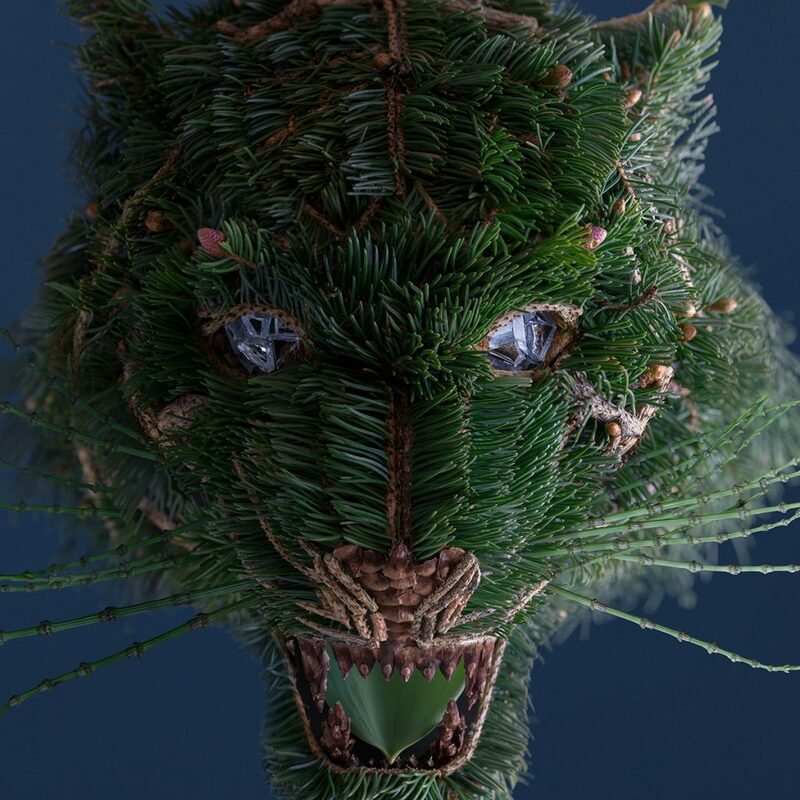 On the contrary, unlike the floral one, this spiky beast embellished by spruce branches is a true specimen of a ferocious and callous creature. The use of such materials appears to be quite appropriate for this very tiger. Raku Inoue’s “roaring” animals make a great substitute to stuffed animals turning them into the obsolete and obnoxious way of home decoration. We believe that wildlife must be showcased solely to inspire and have its beauty embraced.